All summer we’ve been collaborating with the community on a series of pool parties dubbed #SummerAtTheSwimClub. Like the Volume 1 and Volume 2, the third and final volume aims to bring another lineup of sounds, swimsuits, sweet giveaways and more. For Volume 3 on Aug. 12, expect swim by Amuse Society, a pop-up shop with Bikinibird, spiked cold pressed juice cocktails with Juicd Life, coconuts by The Cut Kaka’ako, Moroccan beach baskets by TALA, mags by Flux Hawaii, and prizes and giveaways to benefit Joyful Heart Foundation. 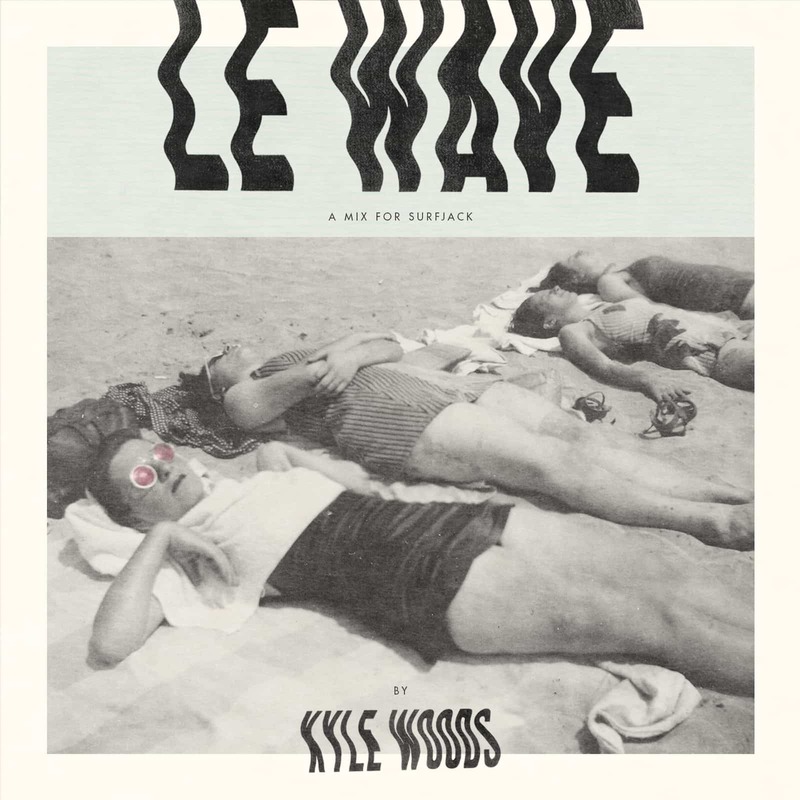 Vibe to music by Kyle Woods of Saint Heron, who, for more than 10 years, has been producing sounds that bridge the gap between various genres such as Chicago house and hip hop. As the resident DJ for Saint Heron, the creative brand owned by Solange Knowles, Kyle has traveled across the country to DJ the company’s branded events as well as private parties hosted by Solange—playing alongside artists like Mannie Fresh, Kitty Cash, Moses Sumney, Twin Shadow and Kindness. Kyle also creates official mixes for Saint Heron, and lucky for us, he’s created one exclusively for the Surfjack featuring sounds from the likes of Frank Ocean, M.I.A., and of course, Solange. To get to know the man behind the booth, we talked to Kyle about his musical beginnings, his current inspiration and where he’s headed in Hawaii. Music and art that I’m into right now include three albums I’ve been rinsing since they dropped: SZA’s CTRL, Vince Staples‘ Big Fish Theory, and Toro y Moi’s Boo Boo. Singles I’ve been having on heavy rotation is “LIE” by VIAA, “Biking” by Frank Ocean, and “LMK” by Kelela. For visual art, I’m constantly inspired by the Partel Oliva collective’s video and photo work. I also just saw my friend Ciarra Walters‘ photo/video exhibition Boys In The Front Seat and that was amazing. Obviously the work was so well-made, but I just felt like a proud brother seeing it all come together. My other good friend Armina Mussa just had the first showing of her Unknown, Wyoming series and that was incredibly moving to me. How Hawaii inspired me when making this mix: The last time I came to Hawaii was when I was 14 years old so I definitely searched through my memory of what I remember from that trip. I made this mix in two parts. The first half is made up of songs that I’d imagine fitting the vibe for my favorite time of day—that golden hour as the sun is setting. The second half is more geared toward the energy of a party you’d go to at night. You know how Nelly had that double album Sweatsuit and each side had a different vibe? It’s like that. One of my biggest inspirations is New Orleans. I first visited there for work with Saint Heron about two years ago and it quickly became one of my favorite cities in the world. There’s something about the city that is indescribable. The energy, the community, and the creativity is something I always soak up whenever I’m there and try to hold onto when I’m in Los Angeles. And speaking of Los Angeles, a huge inspiration to me are my friends out here who are all pursuing their dreams. There’s nothing more inspiring to me than seeing the people I love and admire grind and grow. I have full faith in my friends and we all do the best we can to support ourselves and ideas. After the Surfjack pool party I’m planning on just exploring Honolulu as best I can, since as I mentioned earlier, it’s been a long time since I’ve been back to Hawaii. My favorite way of traveling is to just soak in the energy and culture of the place I’m visiting so I can really get a feel for it. I’m definitely planning on doing that during my time on the island. What got me started in music was the purchase of my first CD single—shout out Mariah Carey and Boyz II Men “One Sweet Day.” I was introduced to the concept of a music collection from a very young age. From there I just began collecting as much music as I could. I then started playing guitar when I was 10 years old and that was the catalyst for my creative expression. Throughout high school I picked up other instruments and when I was 18 years old I saw a professional DJ perform for the first time. My first perception of DJing was that he was basically playing his music collection in the way that he thought it should be presented—similar to how I would make mixtapes for my friends—and he was having an amazing time while doing it. It was at this point that I thought to myself: I have a big collection of music; I like making mixtapes for friends; I should do this. Eleven years later I’m fortunate enough to still be making mixtapes for audiences.